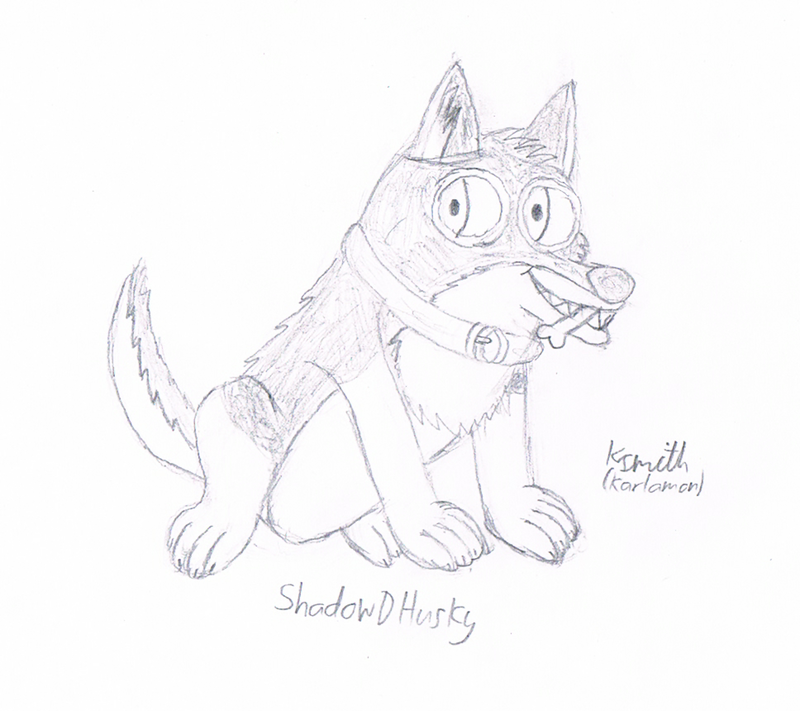 Here is a sketch I did for ShadowDHusky (a DeviantArt user). This was intended to be a birthday present for him, but there was no way I could make it on time. But here it is. I hope you like it Shadow. It will be coloured in eventually. I wanted to try uploading the original sketch so you know what my pencil work is like and to compare with the upcoming finished project.